The bizarre 22-day occupation by mobsters of a hospital in Zhengzhou, Henan, is a revealing example of the murky finances and power arrangements behind China's hospitals. 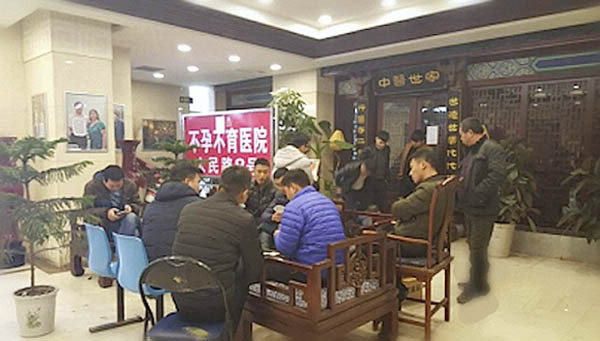 In late December almost 100 unidentified men invaded the Zhengzhou Meixin Chinese Medicine Hospital and disrupted its operations for more than three weeks. According to Chinese media, the men - many wearing masks - obstructed the lobby, harrassed medical staff, put up banners and drove patients away. The hospital was thus put under siege by local thugs who stayed in the building playing cards and intimidating anyone who entered. However, this was not the result of a medical dispute by aggrieved family members of a sick patient, but an extortion attempt to try recoup huge unpaid debts owed by the hospital manager, Wang Guangyu. According to Chinese media reports, the mob had been sent in to force Wang to make good on 17 million RMB funds that he owed to a distant relative, Li Jing. Her husband had previously invested more than 40 million in the hospital via Wang Guanyu, but after the husband died last year, the funds were not repaid in full. After several rebuffs, Li Jing called in the rest of her family to put some muscle on Wang. In any other country a dispute like this would be settled by the police and the civil courts. However in Henan, amazingly, the ringleader of the occupation gang, Guo Zhiyang, was himself the leader of the local justice department and a former senior policeman. For someone who is supposed to be upholding the rule of law, Gui Zhiyong appears to be a pretty lawless and criminal character. During his occupation of the hospital staff were threatened by men bearing knives and poles. One pregnant member of staff was so terrorised that she went into premature labour. The incident ended on 9 Feb after provincial media became interested. When outside journalists first visited the hospital they were rebuffed, but were able to make some reports and take pictures. When this made the news beyond Zhengzhou, the occupiers slipped away, leaving the hospital deserted. Guo Zhiyong could not be found but he issued statements saying he had been trying in a reasonable and lawful manner to handle personal matters with family. He accused the media of slander through their portrayal of him as a gangster and said he would take appropriate action to defend his reputation. The whole saga may be an instructive lesson for any foreign companies contemplating running a hospital in China!